Government Adda 247 Apprentice BHEL Engineer Jobs Government jobs BHEL Recruitment for Technician Apprentices of 320 Posts. 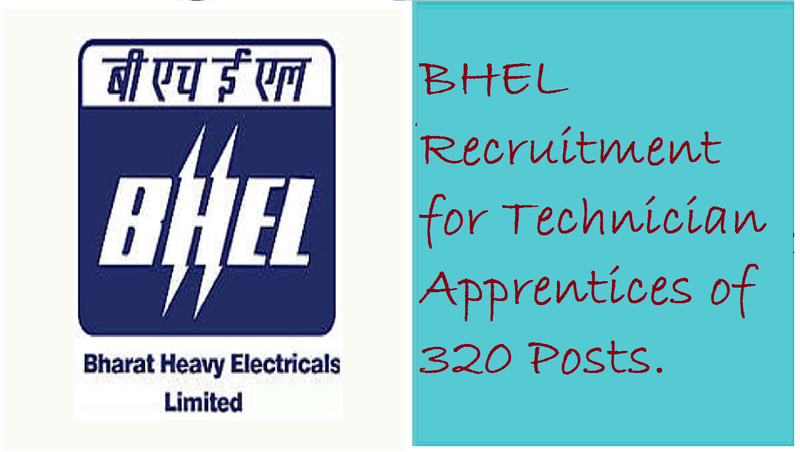 BHEL Recruitment for Technician Apprentices of 320 Posts. 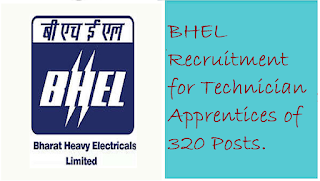 BHEL Recruitment has released the notification for the recruitment of the Technician Apprentices in the Bharat Heavy Electricals Limited, Electronics Division, Bengaluru-26. The total number of vacancies are 320 vacancies. Interested and eligible candidates can apply for the post from the date of notification released. The education qualification for the Technician apprentices in BHEL department is candidates must have a diploma in electronics & communication engineering/ Electrical & Electronic Engineering/ Mechanical engineering/ Computer Science Engineering/ Mechatronics engineering/ Civil engineering. Those aspirants who have successfully passed their diploma in the respective branch can apply for this post.